James Alex Fields drove his car into a crowd of counter-protesters at a white nationalist rally in Charlottesville last year tied, which led to the death of Heather Heyer. 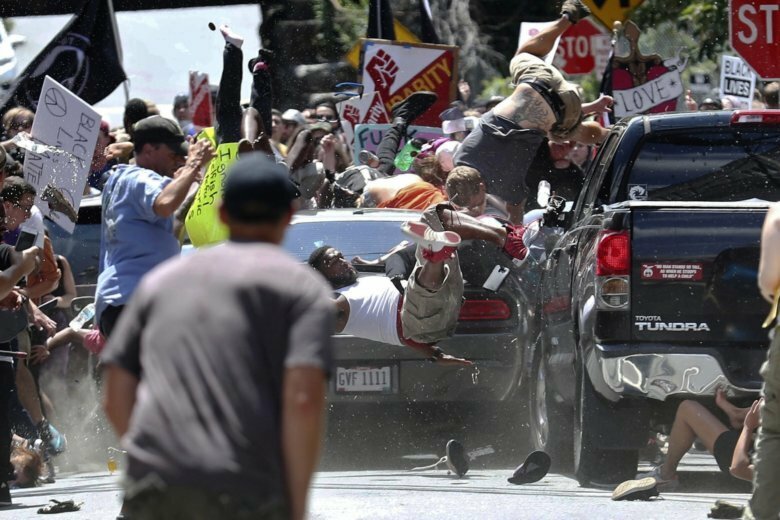 CHARLOTTESVILLE — A jury on Friday convicted James Alex Fields of first-degree murder for driving his car into a crowd of counter-protesters at a white nationalist rally in Charlottesville last year tied to the defense of Confederate monuments. The attack killed Heather Heyer and injured many others. The jury had the option of convicting Fields on lesser charges, but found he maliciously, willfully and deliberately drove into the crowd near 4th and Water streets. The sentencing phase will begin Monday at 9:30 a.m.; the jury will consider whether to recommend life in prison. Virginia judges typically follow a jury’s recommendation and cannot increase the penalty beyond it. Among other evidence in the case, jurors saw Fields, of Maumee, Ohio, marching and chanting with white nationalists, a meme Fields had posted months earlier of a car plowing into a crowd, and a text message he sent his mother the day before the car attack that included a photo of Adolf Hitler. Fields was convicted of all the charges against him, including eight separate counts of aggravated malicious wounding and malicious wounding, and one count of leaving the scene of a crash that caused serious injuries. He was eventually stopped and arrested about a mile away, with his car’s windshield smashed and bloodied. His defense contended he was afraid for his life when he drove into the crowd, and that he was guilty of voluntary manslaughter at most. Jury deliberations began briefly Thursday evening. Friday was the first full day of deliberations in the trial that began last week.